Looking for some great music for your next video, but don’t want to spend and arm and leg? Here is a site that has some wonder original music that you won’t find everywhere and we know how important it is to have music unlike every other video out there. Checkout the tunes of Kevin MacLeod! I have used some of his music on videos and will do it again! Yes, there are credits due! That means if you use his free music, you need to give him full credit on the video and if you can, toss him a link! What I love about this site is the search…it list Tempo and Genre. This makes finding the perfect piece much easier. 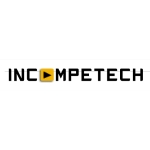 How many times have you listened to a bunch of songs and the tempo is all wrong, but if they don’t have it listed, then you have no choice…unless you hop over to Incompetech! If you need the raw files or an original piece made, then he also offers that although I do not know what his pricing is for raw or original pieces. So go check him out and if you do use his music, credit him! He has the credit you need to post all written out, so you can just copy and paste it!